Triomphe Casino seems to have something of an identity crisis, in as much as it does not seem to know what its name is, with the site itself having Triomphe Casino standing proudly at the top of the page, but the URL of the site being Casino Triomphe. Whatever the casino is called (for the purpose of this review, it will be Triomphe Casino) there is a caveat that needs to be stated. It is always a shame to have to do this, and in ways doesn’t seem fair to do, but it would seem more unfair not to. Triomphe Casino is part of the Game Tech Group, a network which has, in the past, been caught carrying out what are best described as unethical practices, which have included offering bootleg NetEnt titles to players. It seems that these issues are a thing of the past, but it is going to take time for some players to be able to trust Game Tech sites again. Triomphe Casino is a site that was launched in 2015, and has managed to cement itself a position as a reasonably popular online casino. However, reasonably popular doesn’t really get it done, especially when you consider the number of new sites that pop up on a regular basis making the competition, which is already considerable, even higher. So, does Triomphe Casino have what it takes to get to a point where it can stand out from the pack? Design wise, Triomphe Casino is allegedly based around French nightlife, but there is little to back this claim up. Instead what you get here is a fairly painting-by-numbers version of the overly used theme of a decadent casino setting, including various glamorous models standing near roulette tables, a gold VIP sign, and more predictable, and frankly derivative images. Using a concept that has been somewhat overused is not always a terrible idea, after all, such themes become popular for a reason, but if a site does opt to use such an idea, it should really bring something new to the table, and Triomphe Casino does the opposite of that, instead collecting all of the images we’ve seen a hundred times before, and putting them all in one place. That isn’t to say the site doesn’t look good, the logo is nice, the general feel is pleasant, and navigation is simple enough, but none of this feels sufficient, and no part of this site feels in the slightest bit special or unique. 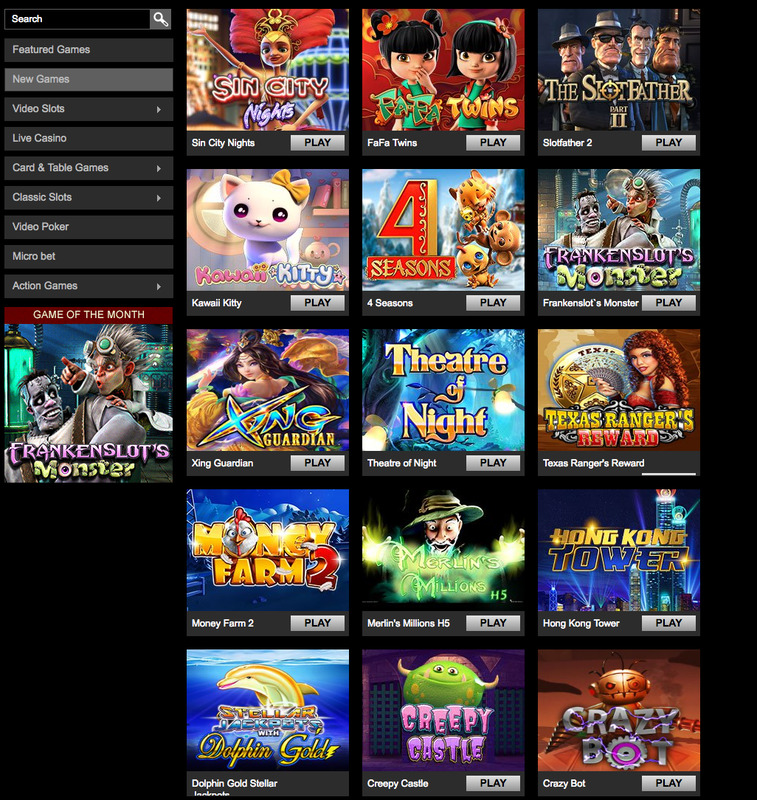 Talking of not being unique, one of the biggest issues with Game Tech sites, aside from the troubled history, is that they tend to contain the same content, and Triomphe Casino is no different. The games here are good, offering titles from the likes of 1X2 Network, Amatic Industries, Amaya, BetSoft, ELK Studios, GameScale, Leander Games, Nektan, NetEnt, Novomatic, NYX Gaming, and Thunderkick, and a host of different game types including classic and video slots, table and card games, action games, micro bet games, and a live casino. But the only way that this collection is impressive to a player, is if they have never visited another Game Tech site (of which there are a fair few by this point) because that’s exactly what you get at every other site. It feels like Game Tech could have put their efforts into less sites, with original content, instead of just the same version of the same thing in a slightly different package. But alas, this was not their choice, and due to that, Triomphe Casino just feels like more of the same, and aesthetically it’s one of the worst.